Happy New Year from Domestic Divas Blog! This has been a great year filled with food and wine and friends. 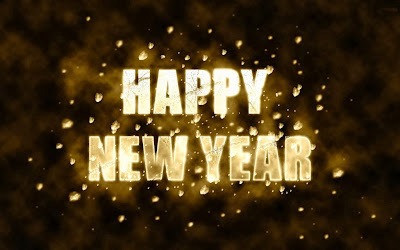 I just want to take a moment to raise a glass and thank you for supporting my blog and cooking and sharing my recipes. Can't believe how fast the holidays have snuck up? Well, you're not alone. It's going to be 80 degrees in LA today (don't hate us!). But we did have a record cold snap last week. And when the weather turns colder, I turn to making soups. They're the ultimate comfort food. This soup is a modified potato soup. 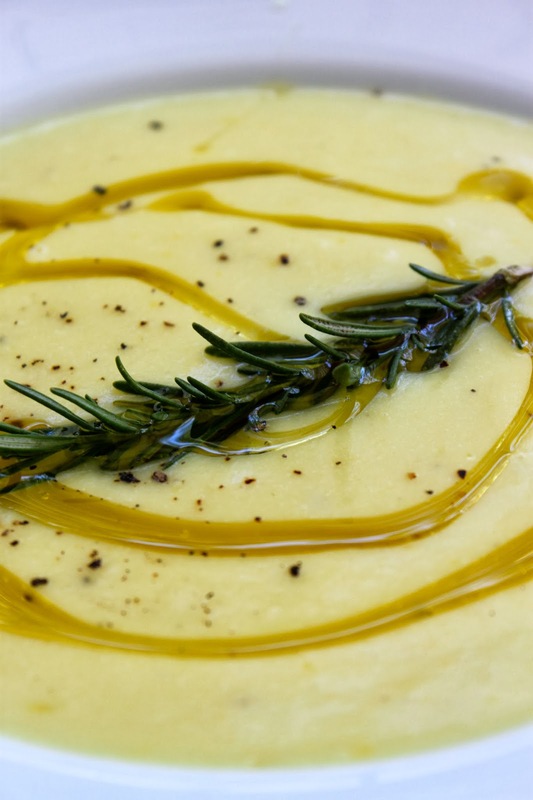 It's a vegan puree, yet still wonderfully creamy thanks to the potatoes and olive oil. The twist is that I add bell peppers to the mix. They bring great flavor and lots of health benefits, too. 1. Heat the olive oil over medium heat. Add the onions and cook until translucent and beginning to soften (about 5 minutes). Add the garlic and cook for one more minute. Then add the potatoes, bell peppers, chicken stock, and rosemary bundle. Bring to a boil, cover, and reduce the heat to low. Simmer the soup for about 25 minutes, or until the vegetables are tender. 2. Remove the soup from the heat and pull out the rosemary sprigs. Puree the soup in batches until smooth, or use an immersion blender to puree it in the pot. Note: more stock may be added to achieve desired consistency. Season with salt and freshly ground pepper. 3. To serve, ladle the soup into bowls. 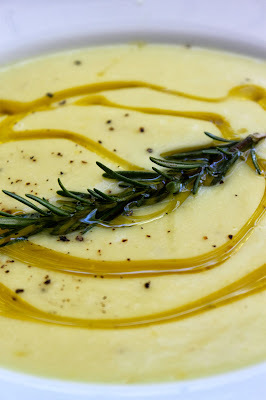 Garnish the soup with fresh rosemary sprigs, drizzle with good olive oil, and finish with freshly ground pepper. Enjoy!